When was the last time you redecorated or redesigned your apartment or at least some rooms in it? When was the last time you even considered the idea, knowing that such a project would leave you with some thousands of dollars poorer, in an economy that isn’t stable yet to allow yourself engage in such acts of courage? Luckily, even if experts admit that turning a room into a five star hotel lounge is pretty expensive, or moving an entire spa center into your bathroom would make your cash flow charts explode, there are still many affordable solutions, especially when you are looking for small bathroom ideas on a budget to start with. It is no news that even a small bathroom revamping can get you to spend around $10,000, while a de luxe vision may double that sum, but let’s not lose hope: there are small bathroom design ideas that can be budget friendly. If you want to get a clearer view on small bathroom design ideas, you can take a look over our previous article treating this matter, but now we will take things a bit further and focus on affordable budgets and some tips and tricks on how you can save some money while redecorating. So let’s see 10 small bathroom ideas on a budget you can adapt, adjust and borrow to fit your needs and to start your decoration project with an optimistic spirit. Instead of covering your walls with expensive and large amounts of tile, you can paint your walls in white, for instance, to give the room that spacious, lit, breathable atmosphere, while you play with some contrasts in furniture or accessories. You can also reverse the whole vision and paint the walls in a fresh, pleasant and sweet color to match white or ivory furniture and redecorate even the smallest bathroom with little money. For the bathroom you’d like to have some mold and mildew proof paint you can also find on Amazon. 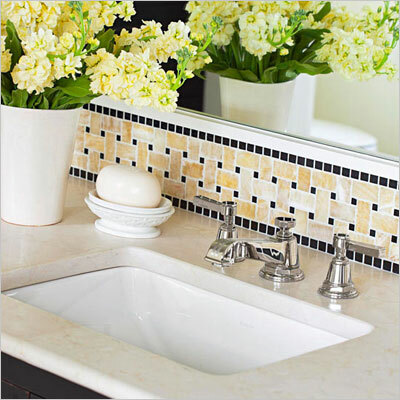 When thinking about small bathroom ideas on a budget, you surely thought that something has to be done with your sink countertop. Everybody is so desperate to get a granite one, but specialists recommend you to take pause and look around for other small bathroom design ideas that won’t leave you broke. One of them is to turn an old dresser’s top into a sink countertop. Measure it, cut the right holes, insert the sink and give your bathroom a nice rustic hint, especially if you keep the wooden feature of the dresser. We love DIY interior design projects because they challenge imagination and save lots of money. 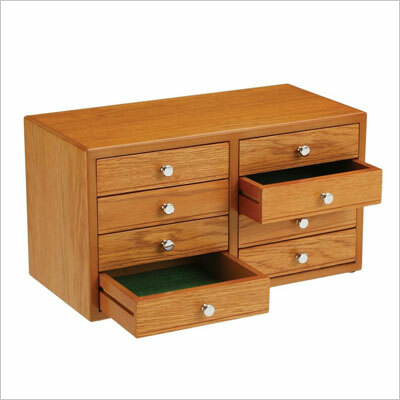 Some consider the concept of redecorating in terms of throwing away the old and buying in the new. But as we mentioned before, small bathrooms come with the advantage of needing just a bit of an imagination and little money to invest. If you still need to save some cash when projecting small bathroom design ideas, here is something you should consider: is your laminate old countertop looking bad? 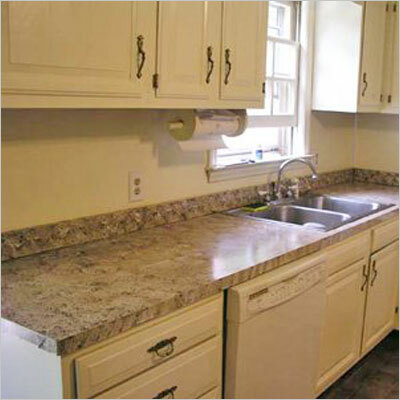 You can revamp it with Granite Paint Kit For Countertops in such an easy manner, you’ll wonder why didn’t you think of that before. Works fine for kitchen countertops and is available on Amazon. Small bathrooms sometimes lack the luxury of having a nice large mirror above the sink and enough free walls to place shelves or cabinets. Mixing two features together may save some space and some money. 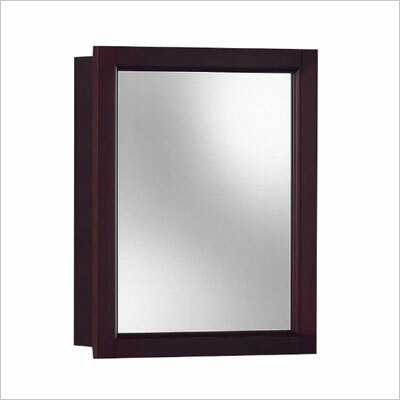 For instance, you can install a medicine cabinet with a mirror door to still benefit from a mirror and have some storage room for your belongings. They come in many models and styles and you can even buy them online from Amazon. All experts agree that when you’re building up a project regarding small bathrooms ideas on a budget, the paint is your best ally in changing the looks of the entire space. But tiles are not the enemy here and sometimes, only one row can do a lot more than covering the walls and the floors in them. A small bathroom can look spectacular in neutral nuances, white, beige, ivory, crisp blue, but you can add tiles for the backslpash. Whether you choose a monochromatic design that contrasts with the wall pain, or floral patterns, for instance, the secret is to focus the contrast only in one area and cheer up the atmosphere with it. They say the devil resides in details, right? All small bathroom design ideas revolve around two things: making use of all available space and save money, as we are still on a budget. So maybe your bathroom needs just a fresher perspective. One such perspective is to change the accessories so they completely revamp the whole bathroom concept. Bronze, “vintage” accessories, together with a similar style ceiling lighting system, a carpet and even a flower vase can turn a dull, boring bathroom into a state of the art creation. 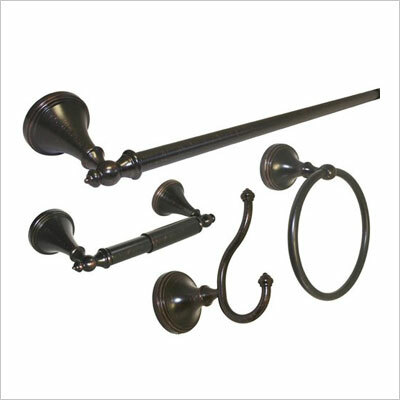 Fashionable and affordable bathroom sets are available also on Amazon. You can change the looks of a small apartment bathroom if you go for chrome instead of bronze. It all depends on what you like. It would be awesome to be able to change completely the flooring of your bathroom. Maybe you are sick and tired with the grout and caulk getting messy and unpleasant, or maybe some of the tiles are cracked and hideous. Being on a budget means getting creative. So what if you would first clean and freshen the grout and caulk and then replace only the tiles that are broken or bad looking with a bit more expensive tiles, but only a few of them? 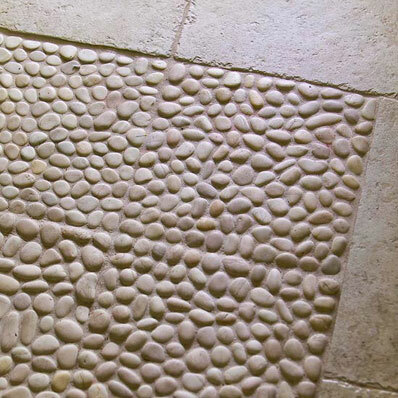 You can re-think the entire bathroom floor in a pattern that requires only a small number of tiles to be replaced, or to actually insert pebble tiles in the same color as the original tiles, for a 3D and enlarging effect. This might do wonders to the place and to your budget and you can get some tiles from Amazon, too. 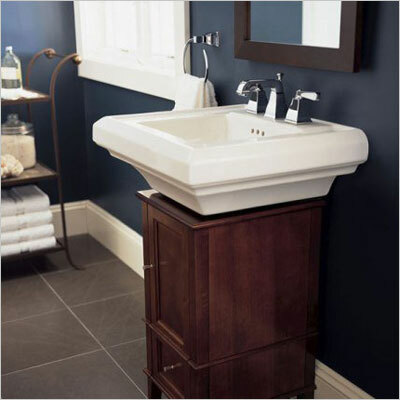 When thinking about bathroom furniture, we have that fuzzy image in our heads that includes either white shining laminate cabinets and shelves, or solid, warm, comfortable wooden elements that look sumptuous, to say the least. 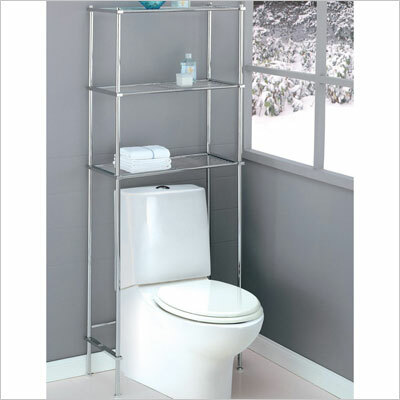 Well, having in mind the concepts of small and budget (which is small too), let’s rethink the bathroom furniture in terms of metal (usually chrome) space savers that can make your towels, toilet paper and all other products look great and fit even above the toilet. If you want to take things further, you can store your items in nice wire baskets or even boxes, not to mention colored plastic food boxes to cheer up the place. Metal space savers are pretty affordable and you can install them on your own. Also easy to buy from Amazon. What does a small budget mean? That you can’t just throw out everything and start renewing from scratch, right? But small budget also means to use some items that at a first glance have no purpose, but with a little imagination, may be exactly what you need. The Moneycrashers advise us to redo instead of buying new, or buy used and add your own touch. We say go to the kitchen and see what would bring a fresh look on your bathroom: glass transparent jars, to keep some of your bathroom essentials in, a wooden cutting board to turn into a shelf maybe, colored plastic food boxes you can pin directly on the walls as floating shelves, a rustic hay basket for a romantic touch or even wooden coasters to use as candle support. 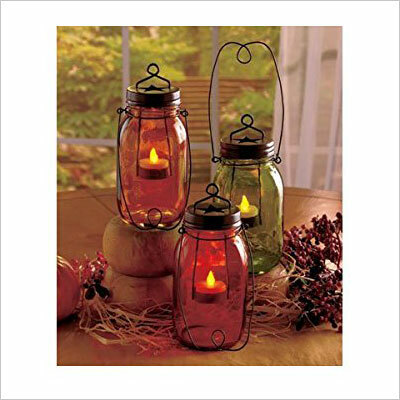 You can also buy some extra lighting sources, such as colored candle jars to give the bathroom even a more artistic feel. Available at your local stores and on Amazon. Sometimes, some small bathroom ideas on a budget are based on big ideas and great combinations, even if the main focus is to keep your expensive at the reasonable minimum. 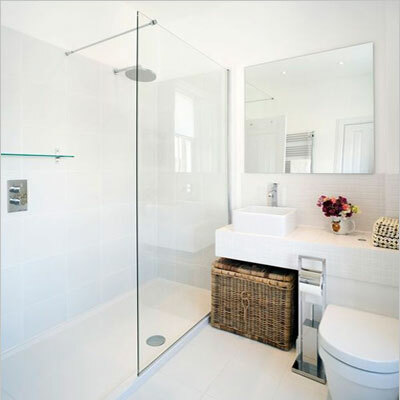 Big ideas don’t necessarily mean stuffing your bathroom, as it is contrary with what you want to achieve. But some designers recommend to try a larger, central piece, such as a square pedestal sink with wide rims to be able to host some nicely arranged personal items and some decorations (such as a small flower vase), while being matched with chrome faucets in a minimalist or even lush design style. These sinks are affordable, available on Amazon and, according to experts, have the miraculous power of actually making the small bathroom look larger. Do you have other small bathroom ideas on a budget to share with us? Did you ever redecorated your bathroom? Were the small bathroom design ideas you found useful? What other tips and tricks can you reveal to us? Thanks to all our sources for the incredible photos and genius ideas!